A crisis is an event that threatens the viability or integrity of a business. They come in many forms and have the ability to undermine even the most prospering and thriving organizations. A crisis management plan is a basic guide or outline to provide a response system to a major crisis or emergency. They are designed to effectively coordinate the use of resources and personnel in order to protect life and property during and after an emergency or interruption. Plans should cover a broad range of scenarios with explicit and specialized courses of action that revolve around a “core” plan that can link the scenarios together. This is important because real-life scenarios will not adhere to best-laid plans. Flexibility between scenarios is crucial because what you are really planning for is the unexpected. Organizations will inevitably face crises and few may be prepared to deal with them. A Crisis Management Plan can help avoid recovery delays, operational disruptions, and financial disasters. Overall a Crisis Management Plan is intended to minimize the potential impact of crises. With a plan in place, an organization’s personnel will be able to minimize risk, maintain communications, and know what to do in the event of an emergency. 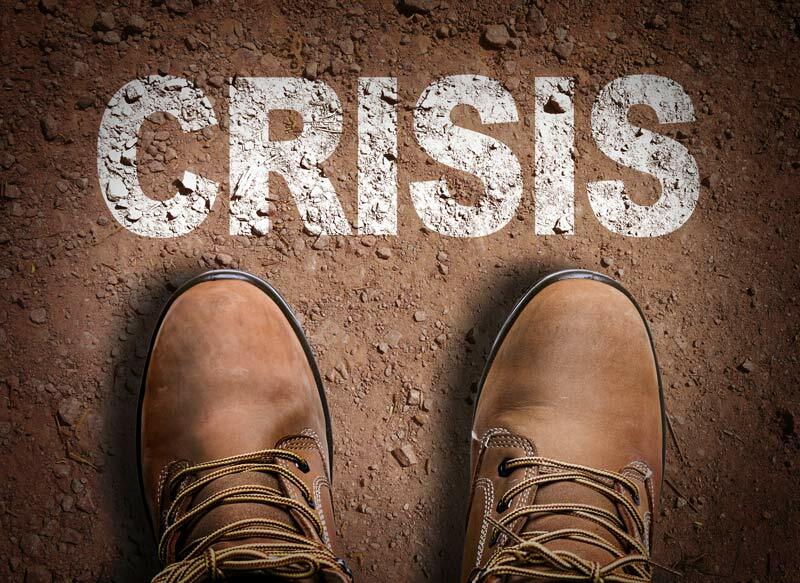 What situations fall under a crisis management plan? What are key steps to a successful crisis management plan? Know your risks – It is important to have outlined the threats that any proposed crisis will have in your organization. A designated chain of command – Identify personnel who are prepared and trained to set plans into motion. Crisis communication – What are your means of communication and who needs to be communicated with? Preset activation protocols – Specific scenarios should trigger certain actions i.e. natural disaster evacuation, lock-down due to an intruder, and emergency responder contact. Practice, Practice, Practice – Best laid plans may not work if not simulated. Training may be an inconvenient undertaking but the alternative is worse. Crisis Management Plans will expire – The world changes quickly and so plans must be updated. Team members change, communication channels change, and the risks involved change. Ultimately the goal of a Crisis Management Plan is to anticipate the difficult decisions that must be made in the event of a crisis. To map out a plan of action and ensure the necessary information and communication that will help make the management of a crisis easier and more efficient.